After much internal debate and afer 2 hours of staring out of the window looking for clouds and not seeing any I thought I’d take a chance any way and headed down to the Ardross St Jetty. I got down there and was pleasantly surprised to see a stack of clouds with a blazing red sunset. It just goes to show that it pays to follow your gut instinct, its telling you something. I hope you enjoy it. 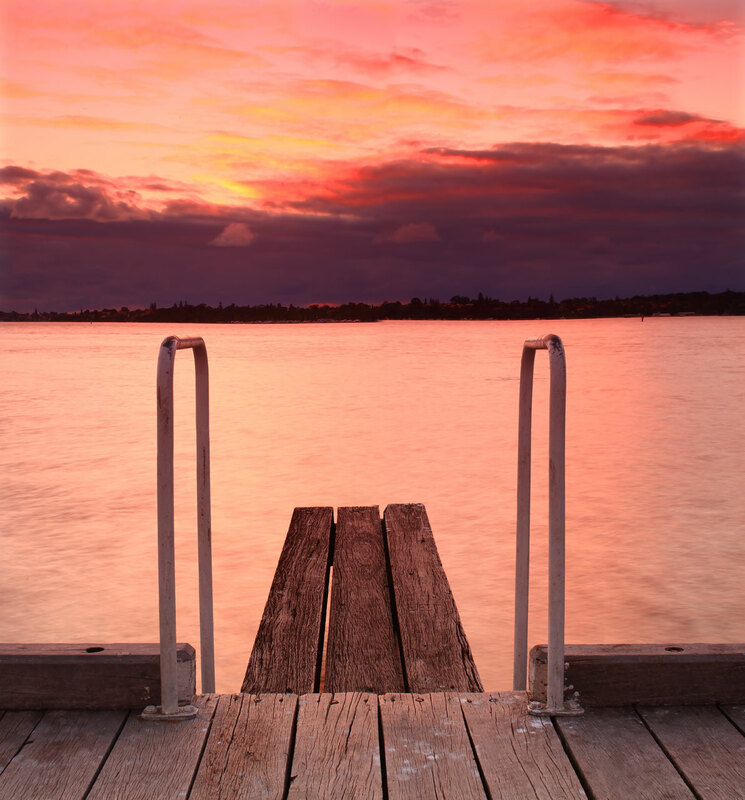 This entry was posted in Australian Landscapes and tagged australia, canon 1ds mkIII, jetty, perth, sunset, western australia. Nice overall composition Jamie, it works well. Gut instinct pays off. Damn clouds always messing with my head. Nice capture Jamie, the POV works well as a square or even maybe a vertical. Thanks for the awesome comments. Its great getting good feedback from you guys. Did you get anything decent this morning Neal? No problem Jamie, I have not had a chance to look at yet. Was out pretty much all day in Fremantle. Thanks for that. I still love your water and the rocks shot. Nice sleep in this morning? hehe. One can be sure that if one stays at home – the light will be fantastic! Sometimes it’s luck but we have to out there ready to shoot to get lucky in the first place! Good clouds and colours. Thank you very much. I hope your trip ‘down under’ goes well and that you capture the most amazing light. Welcome! Its that time of year when the sunsets and sunrises come out in full glory. Why can’t you drive? Jamie nice pic. try working on your sharpness with these small thumbs. When they are reduced for the net they do need a little sharpness to bring them back to life. Smart sharpen with an amount of between 30 and 80 with a radius on .3 would help.